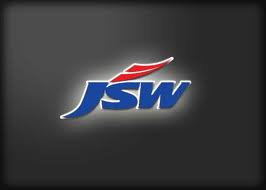 JSW STEEL reported a net profit of ` 137 crores for the 3rdquarter ended 31st December 2012 in spite of inadequate availability of iron ore, inferior quality of ore with low Fe, high alumina and manganese and unreasonable prices for iron ore in E-auctions. Notwithstanding these challenging environment, the Company showed improved performance with growth in Production and Sales volume of 8% & 14% respectively. The Turnover and Net Sales for the quarter stood at `9,121 and `8,275 crores respectively showing a growth of 7% and 5% over the corresponding quarter of previous year. The Operating EBIDTA for the quarter is `1,314 crores with a margin of 15.8%. Due to 4% depreciation in the value of the rupee against US Dollar during Q3 FYâ€™13, the loss of `267 crores on restatement of foreign currency monetary items at close of the quarter has been provided. The Company as matter of prudence also made a provision of `60 crores towards carrying value of its investment in US Plate & Pipe mill. Both the items are considered as exceptional in nature. The company posted net profit of `137 crores, down by 19% over the corresponding quarter of previous year mainly due to lower capacity utilization of 78% in the quarter. The Turnover and Net Sales for Nine months ended 31st December 2012 stood at `28,688 crores and `26,139 crores respectively, showing a growth of 18% and 16% over the corresponding period of previous year. The Operating EBIDTA for Nine months ended 31stDecember 2012 is `4,612 crores, up 16% over the corresponding period of previous year. The company posted net profit of `1,228 crores, up by 41% over the corresponding period of previous year. The Company's standalone net total debt gearing stood at 0.86 (vis-Ã -vis 0.75 as on 30.09.2012) and the weighted average interest cost of debt was at 8.18% (vis-Ã -vis 8.44%, as on 30.09.2012). Non availability of iron ore and poor quality of ore impacted the productivity by 20%. Most of the sponge iron, pig iron and pellet plants in the state of Karnataka are either closed or operating at around 20% capacity. Integrated steel players capacity utilization is at around 70%. The stock piles of 25 million tonnes ore more or less were auctioned; NMDC is not able to produce even after lapse of 17 months from the date of permission by Honorable Supreme Court, 1 million tonnes of iron ore per month. So far only 6 mines of Category A, B resumed operations when Honorable Supreme court approved resumption of mining in Category in September 2012. These mines produced 0.71 million tonnes so far but produced ore is not put to E-auction. At this backdrop, the Company expects improvement in availability of ore as per details hereunder. Balance stock pile of around 1 million tonnes to be auctioned. Besides 6 mines, balance 4 mines of CategoryA will also resume production in Q4 FY13 and all these mines together are permitted to produce 5 million tonnes per annum. The Company expects that Honorable Supreme Court will consider resumption of mining in Category B mines with permitted production of 6 million tonnes per annum. NMDC is expected to enhance production to 8 to 10 million tonnes per annum. The recommendation of CEC to cancel Category C and auction them to end users is expected. The availability of iron ore in the next financial year will be in the range of 19 to 21 million tonnes while Steel Industry in the State of Karnataka requires 30 million tonnes. However the company is exploring the possibility of using dumps with very low quality. New Cold Rolling Mill (CRM-2) Phase 1 and Phase 2 projects at Vijayanagar are progressing satisfactorily and will be completed during FY 2014/15. Non-Grain Oriented Electrical Steel project has been taken up for implementation and is expected to be completed in FY 2015. Expansion and debottlenecking of coated products facility in Maharashtra from current capacity of 0.925 to 1.2 million tonnes will be completed in 1st quarter of next financial year. The scheme of merger has been approved by the Competition Commission of India, National Stock Exchange of India and BSE Limited. As per the Bombay High Court direction, both JSW Steel and JSW Ispat convened meetings of its equity and preference shareholders on January 30, 2013 to seek their approvals for the scheme. Global economy is expected to grow by 3.5% in 2013. The world crude steel production for 2012 was 1548 million tonnes, a growth of 1.2% coming mainly from Asia, North America and Russia, while contraction reported in Europe. Global Steel demand is expected to grow by 3.2% in 2013, with raw material prices to be less volatile. The Indian economy is bottomed out and expected to turn around in FY 2013-14 to stimulate steel demand growth while imports, mainly from FTA countries, remain a concern. Pragmatic policies on iron ore mining, speeding up of infrastructure projects and expected interest rate cut by RBI will boost demand for steel. JSW Steel Ltd., belonging to JSW group, part of the O P Jindal Group, is one of the lowest cost steel producers in the world. The group has diversified interest in mining, carbon steel, power, industrial gases, port facilities, Aluminium, Cement and Information Technology. JSW Steel Limited is engaged in manufacture of flat and long products viz. H R Coils, C R Coils, Galvanised/Galvalume products, Colour Coated Products, auto grade / white goods grade CRCA Steel, Bars and Rods. Incorporated in 1994, it has grown to about US $ 10 billion in less than two decades. JSW Steel Limited is one of the largest galvanizing and colour coating production capacity in the country and is the largest exporter of galvanized products with presence in over 100 countries across five continents. Certain statements in this release concerning our future growth prospects are forward looking statements, which involve a number of risks, and uncertainties that could cause actual results to differ materially from those in such forward looking statements. The risks and uncertainties relating to these statements include, but are not limited to, risks and uncertainties regarding fluctuations in earnings, our ability to manage growth, intense competition within Steel Industry including those factors which may affect our cost advantage, wage increases in India, our ability to attract and retain highly skilled professionals, time and cost overruns on fixed-price, fixed-time frame contracts, client concentration, restrictions on immigration, our ability to manage our internal operations, reduced demand for steel, our ability to successfully complete and integrate potential acquisitions, liability for damages on our service contracts, the success of the companies in which â€“ has made strategic investments, withdrawal of fiscal governmental incentives, political instability, legal restrictions on raising capital or acquiring companies outside India, unauthorized use of our intellectual property and general economic conditions affecting our industry. The company does not undertake to update any forward looking statements that may be made from time to time by or on behalf of the company.